Medikabazaar has 3500+ medical institutions signed up with them. More than half of them are transacting frequently. Average order value is more than Rs 5000. Medikabazaar has more than 35000+ products on their portal with more than 300 registered vendors / manufacturers. Medikabazaar is a tech enabled pioneering concept aiming at addressing a large segment of medical procurement & supplies. It is a complete ecosystem of medical supplies addressing the major challenges of the awareness, availability, ambiguity & affordability. Empowering medical institutions to deal with complex problem of procurement & regular purchases including supply chain & logistics planning. In order to sustain higher growth and operational excellence, medical institution need to achieve higher efficiency for remarkable outcomes. In order to achieve better healthcare delivery model; optimizing the cost and efficiency of medical procurement is of paramount importance. Medical procurement & supplies include the complete range of products from medical gloves, cotton to high end medical devices & equipment etc. They are changing the landscape for ‘procurement & supplies’ space in medical institutions and aiming at building the largest medtech and disposables supplies platform. Their journey started in Apr 2015 (we commercialized our operations) and have been progressing steadily since then. The founder is Vivek Tiwari (IIM Calcutta Alumnus). The challenges were manifold, since it is primarily a B2B concept; the initial challenge came in with the fact that there is no established B2B supplies platform in India, most of business to business solution enterprises are just for information and classified or advertisement purpose. We had to organize a massive campaign in medical institutions through direct contacts; digital medium etc to create awareness on this concept, the concept was well accepted due to the acceptance of problems from users in the identified area. The business model was conceived out of founders past experience in managing a chain of multi-location tertiary care clinics. It was during his involvement in a project of setting up of tertiary care clinics in India that he realized the medical supplies in tier 2 & 3 cities was a huge problem due to non-availability of reliable and steadfast vendors. This resulted into hospitals and medical institutions falling prey to the unorganized and inefficient procurement system in the medical fraternity. These identified problems resulted into an idea which could solve all these complex operational issues. Such an inefficiency and inadequacy of a proper system in hospitals and medical institutions may adversely affect the end consumer and its affordability to healthcare. A digital procurement platform (for medical supplies) eliminating the geographical restrictions was non-existent and it was a humungous task to engage multiple vendors and ask for price quotes, negotiation for purchases etc and there always existed a bigger challenge in getting the right price from a reliable vendor and there was no vendor who was covering an array of medical supplies. He envisioned that the need for setting up an innovative medical supplies platform was of paramount importance as healthcare facilities were being set up in tier 2 & 3 cities. The supplies were always a problem due to non-availability of last mile vendors / reliable suppliers in tier 2 & 3 cities. Medikabazaar aims to facilitate last mile delivery options to arranging SME loans (with the help of credit rating agencies and FI’s) options for the smaller institutions linked within our portal to facilitate B2B trading. It primarily works on PIN CODE based delivery system to achieve last mile distribution challenges. As our honorable Prime Minister Mr. Narendra Modi envisions, “I dream of a digital India where quality healthcare percolates right up to the remotest regions powered by e-Healthcare”; the concept of Medikabazaar and its creation is based on the similar vision. Medikabazaar is a self – funded bootstrapped company operates under two portals namely medikabazaar.biz (B2B) and medikabazaar.com (B2C). The venture has been profitable in its first year of operation. 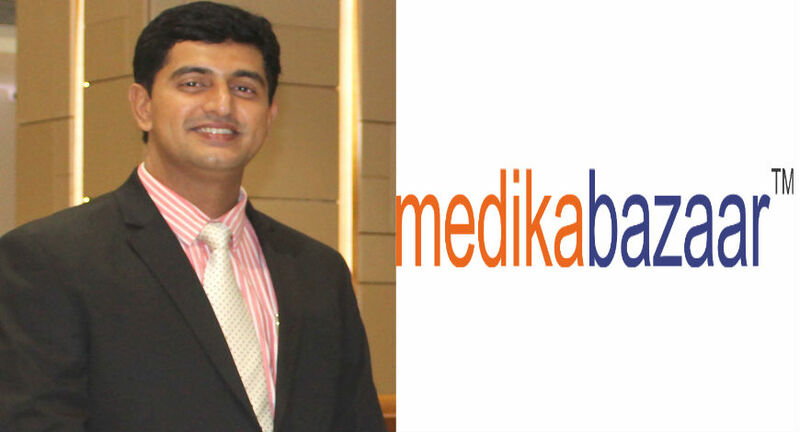 Medikabazaar.biz is an innovative online digital platform covering the entire gamut of medical supplies including equipment, medical furniture, medical disposable, consumables and surgical instruments whereas medikabazaar.com is a online platform covering medical devices and aids for home healthcare needs targeting individuals and health-seekers. It has an array of product options (35000+ SKU’s of medical supplies) on-boarding more than 500+ merchants / suppliers / manufacturers as on date to facilitate the customers in decision making process without compromising on the quality standards. There is a GET QUOTE option which allows buyer the best quote based on DYNAMIC AVERAGE PRICING for bulk / smaller sized orders. It works on PIN CODE based GIS (Geographic InformationSystem)which helps order delivery to happen in shortest possible time with engagement of local supplier wherever possible. Medikabazaar is also planning to engage credit rating agencies and SME loan options for the smaller institutions linked with the portal to facilitate B2B trading. This will be a unique and first-hand experience for medical institutions to avail such facilityof last mile loan / finance etc. at the click of a button. It also offers a unique facility of dealing in refurbished and old medical equipment called as Medika Recycle. Currently, Medikabazaar has 3500+ medical institutions signed up with them. More than half of them are transacting frequently. Average order value is more than Rs 5000. Medikabazaar has more than 35000+ products on their portal with more than 300 registered vendors / manufacturers. Medikabazaar monetization model is based on margin and commission. There are web promotion subscription plans or packages as well for manufacturers and vendors. And soon it aims to be the largest aggregator of medical supplies in next 2-3 years with more than 25000 transacting customers for their B2B portal and more than 1 Mn active customers for their B2C portal. 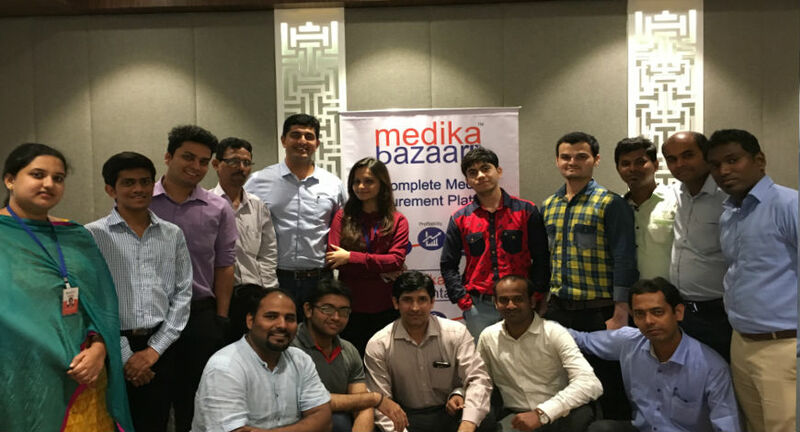 Presently, Medikabazaar is a hybrid model operating in both B2B (for hospital and medical institution supplies) and B2C (for home health medical devices and aids) segments of medical supplies. Our .biz portal is pioneering in the segment and caters to the procurement needs and supply chain efficiency of medical institutions. Currently working on a hybrid marketplaces model to segregate buyer types, Medikabazaar intends to have a b2b2c model in place in future to empower consumers take benefit of medical purchases. The healthcare market size is approximately USD 100 Bn (2015) today with an estimated market size of USD 280Bn by 2025. The share of medical supplies is enormous and poised to grow much faster in the segment with the usage and adoption of new medical technology. Presently the share of medical supplies including medical equipment is INR 147,000 Crs appx (taking 2015 data), roughly 31% of the healthcare market size.